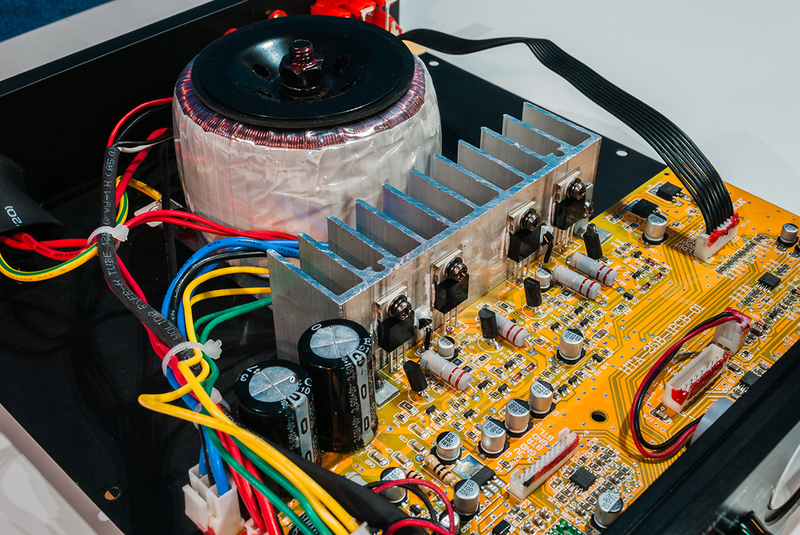 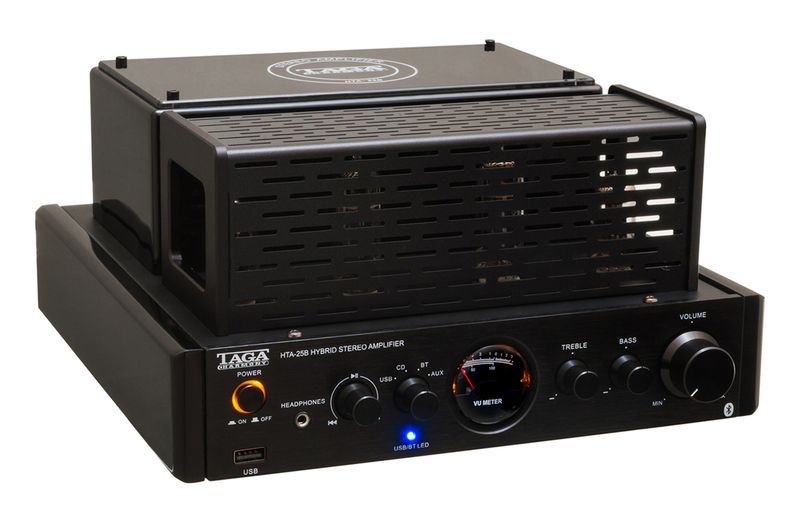 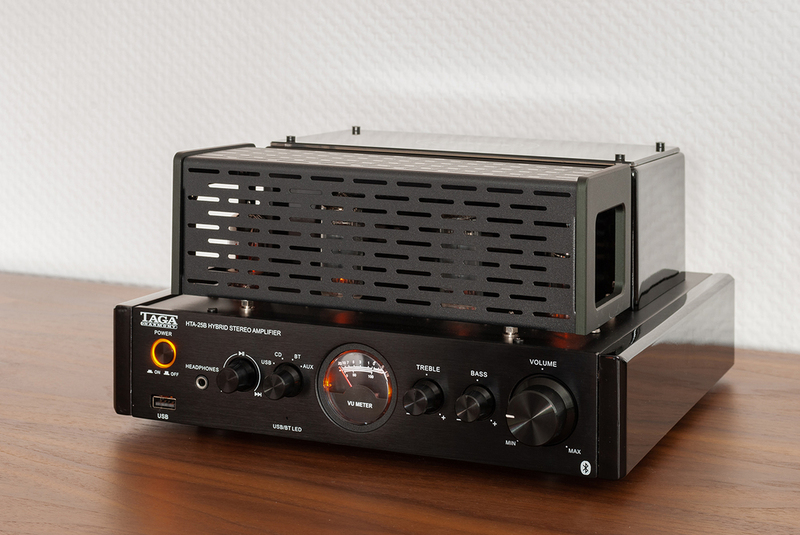 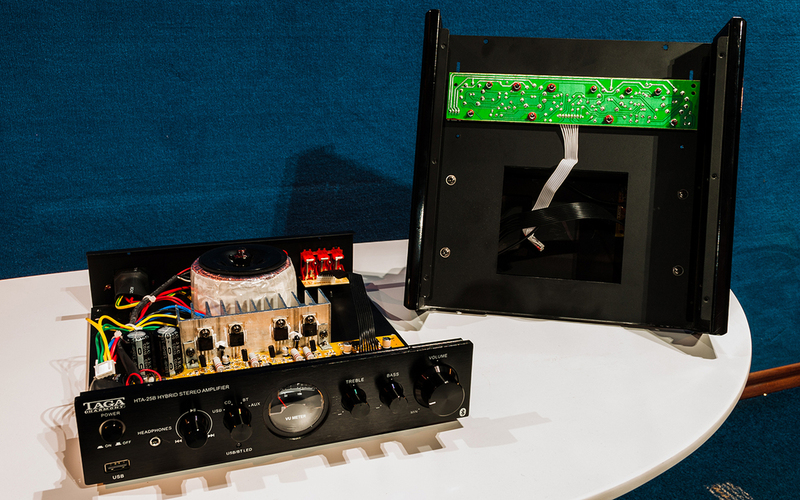 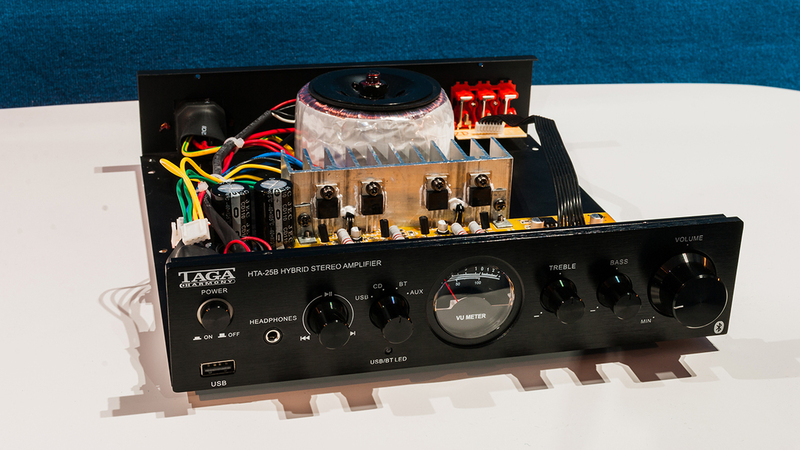 HTA-25B is a 25W / 4ohm high-fidelity but still affordable hybrid integrated amplifier utilizing two 6P1 and two 6N1 tubes in the preamp section and transistors at the output powered by an audiophile grade toroidal power transformer. 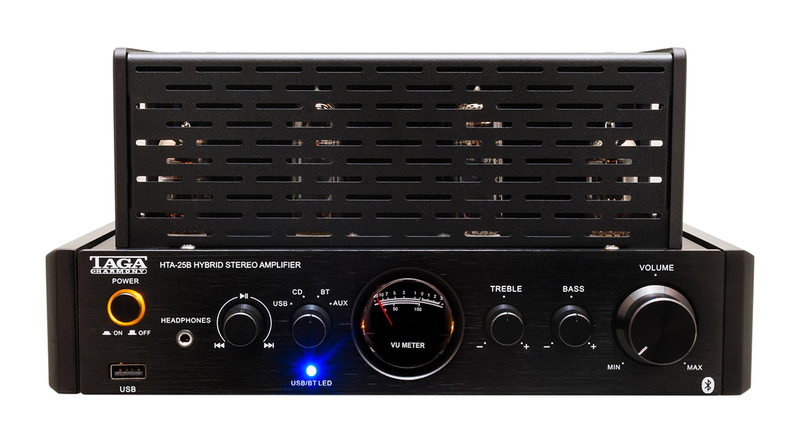 This solution ensures a very warm, linear and lifelike sound with high dynamic presentation at the same time. 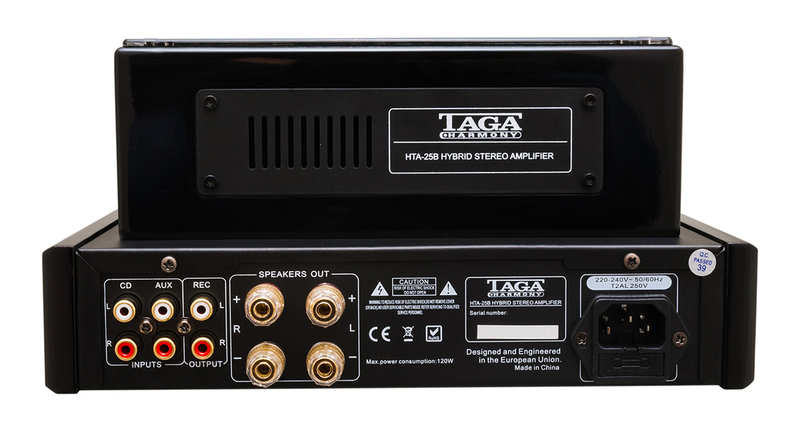 The high class, gold-plated speaker terminals offer almost lossless audio signal transmission to the speakers. 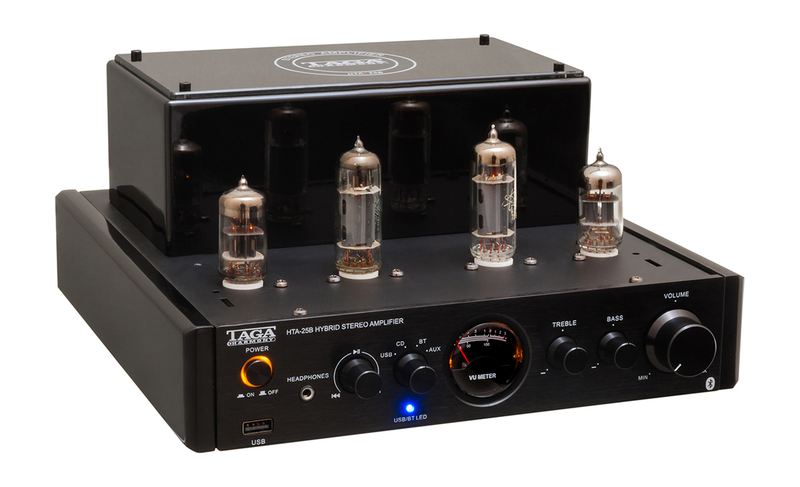 2 analog inputs with gold-plated RCA sockets. 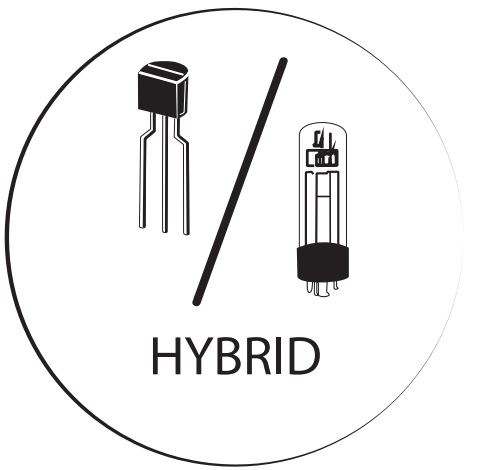 USB input to quickly and easily play music from USB flash drivers. Bluetooth® to wirelessly stream music from smartphones, tablets or computers. 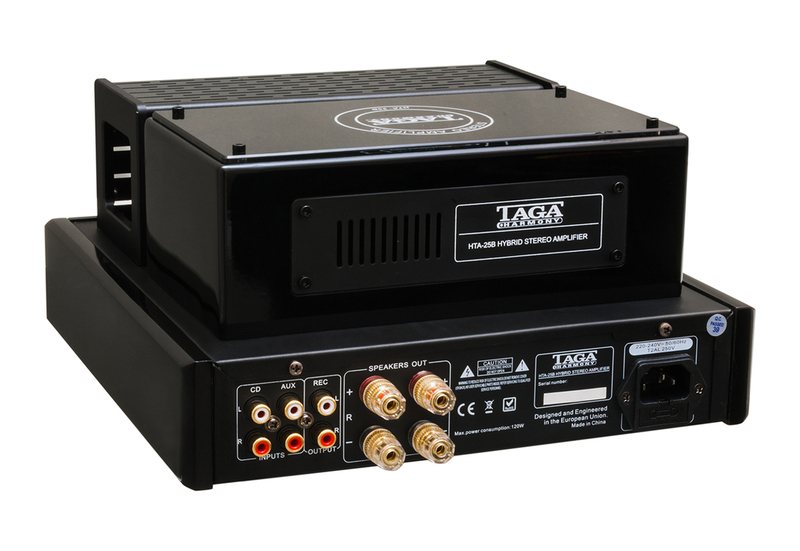 REC output for external recording device or powered speakers or subwoofer. 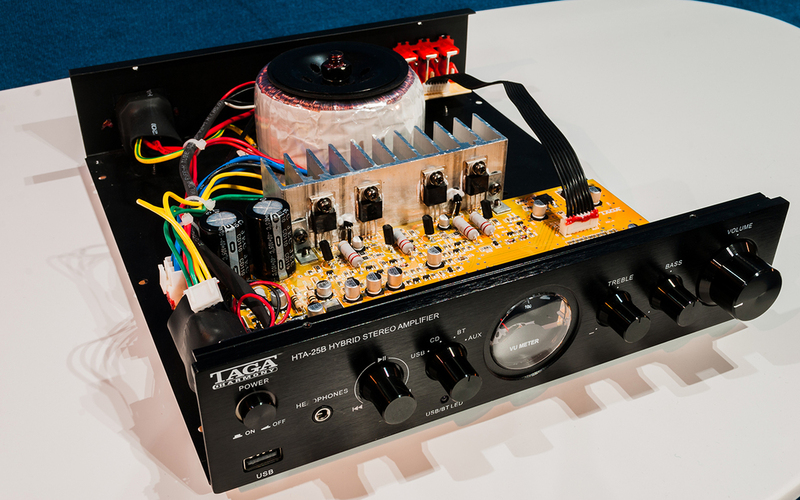 Headphones output for those who prefer discrete listening. 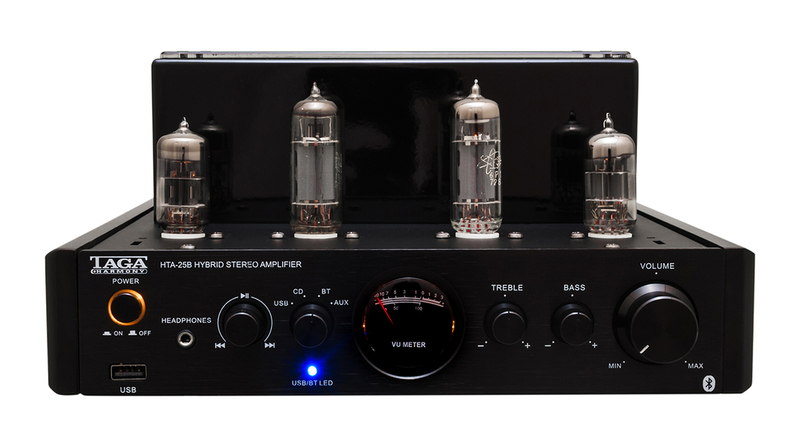 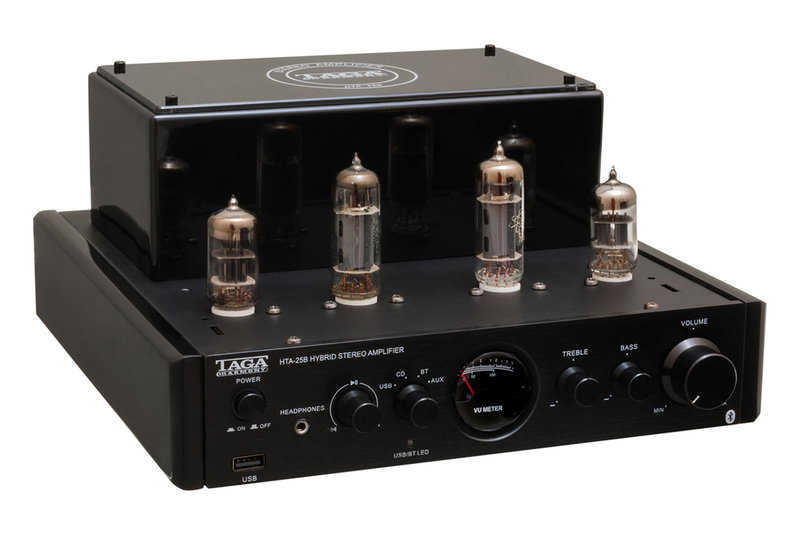 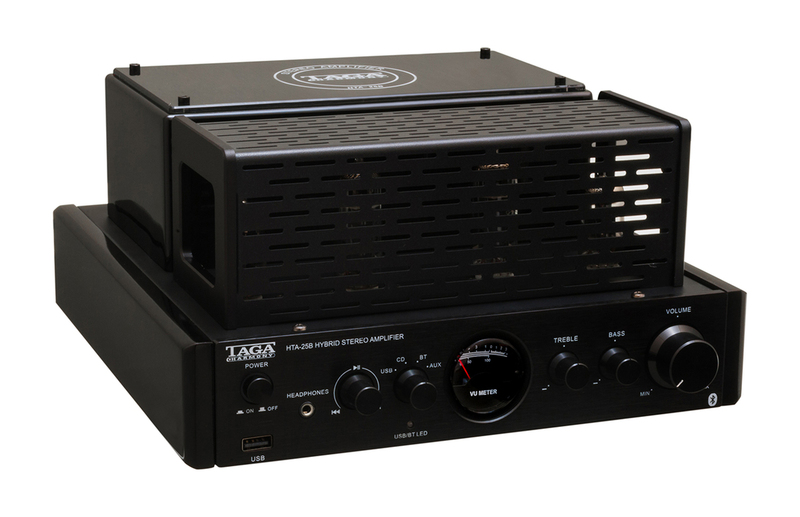 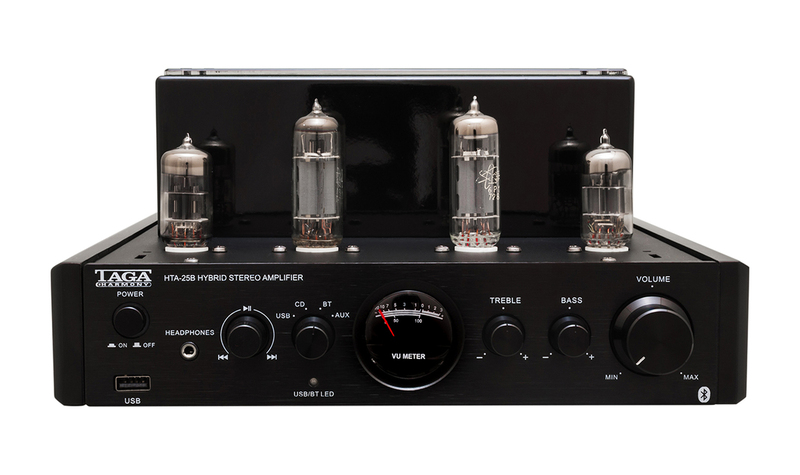 The HTA-25B combines the analog sound of tubes with the power of transistors to give the best sound at the price! 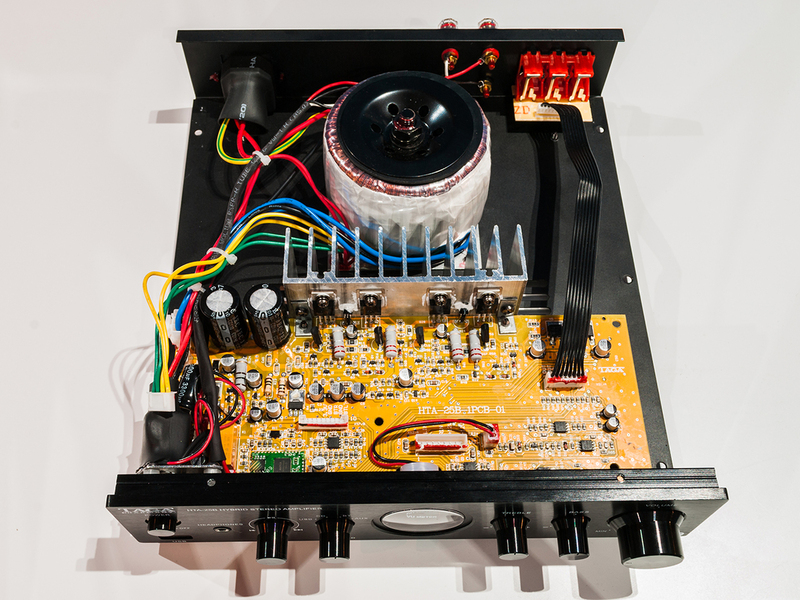 Weight 4.5 kg / pc.